Hello, we would like to travel to Lake Eyre now the waters are there, but would also like to visit Coober Pedy and see the Flinders National Park. We would have 7-9 days and would be driving. Can you suggest a suitable route originating in Adelaide. It must be beautiful to see Lake Eyre right now. This is a nice round trip from Adelaide. 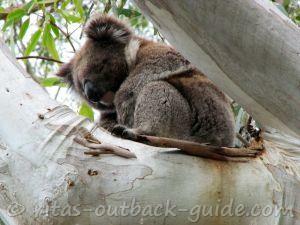 Day 1 Adelaide - Flinders Ranges, you can stay either at Wilpena or Rawnsley Park for 2 nights. Day 2 Exploring Flinders Ranges National Park. Day 3 Flinders Ranges to Marree or William Creek for 2 nights, at least. Do you have a 4WD vehicle? There are three possibilities to get to the shores of Lake Eyre. 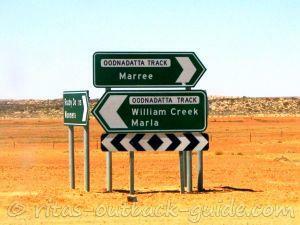 The Oodnadatta Track itself comes close to L. Eyre South about half-way between Marree and William Creek. But there is not much water there yet. From Marree, the Level Post Bay track is a strictly 4WD to L. Eyre North. Same is the Halligan Bay Track from William Creek, strictly 4WD. See my Lake Eyre page for more information, and a link to a satellite map with the water levels. You can also take a scenic flight over the lake, which is probably the best to see the water, and the water birds. The Oasis Cafe in Marree and wrightsair.com from William Creek operate scenic flights over the lake. Wrightsair has scheduled 4 flights daily. Day 5 William Creek to Coober Pedy. This 165 km road crosses Anna Creek Station and the Woomera prohibited area, so you have to stay on the track. 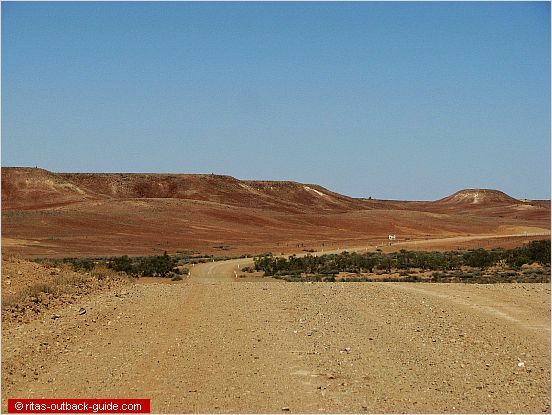 Another option is to continue the Oodnadatta Track and take the road from Oodnadatta to Coober Pedy, with a detour to the fantastic Arckaringa Hills. I'd suggest to call the South Australia Outback Roads Report 1300 361 033, or check their website for road conditions in this area before you go. These Outback roads are no problem when they are dry. Take it easy, drive slowly, and you'll see hazards like washouts in time. From Coober Pedy back to Adelaide it is roughly 845 km with plenty of stops along the way if you don't want to drive it in one day. if you head west from Brisbane to Cunnamulla and then drive south on the Mitchell Highway to Bourke, you already travel in the Outback. Head further south on the Kidman Way to Cobar. It is a minor road, but fully sealed. In Cobar you meet the Barrier Highway, head west to Broken Hill. 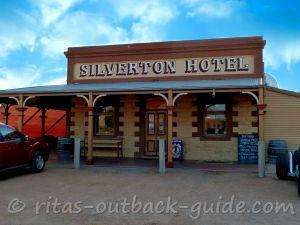 Don't miss a trip to Silverton, also on a sealed road. 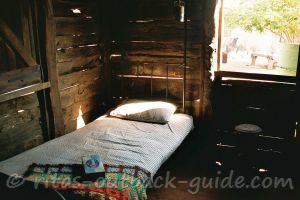 You'll be surprised about the Outback feeling you get there, it is beautiful. 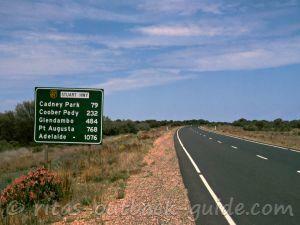 Keep driving west on the Barrier Highway until you reach South Australia. When you finally reach the Flinders Ranges, you've already seen a great chunk of the Outback. Take your time and explore the towns mentioned on your way. we are very happy that we found your website. It's so helpful for us to plan our trip. First we were planing somthing different but then there were some changes in our plan and now we ended up with a hired 2wd car (Subaru Forester)for 3 weeks from Brisbane to Adelaide. So we have to make the best out of that. 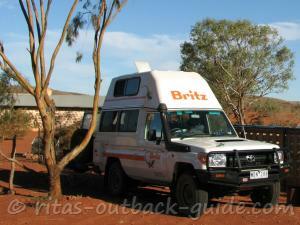 We thought about spending some days camping in Flinders Ranges NP, then a day a so in Coober Pedy. But that's pretty all, what we can do with a hired car in that area. We even are not allowed to take the car to NT or to WA. Do you maybe know any other destination, that we can reach on sealed road? It would be so great. Well, 4 days seems a bit short for the trip, after all it is about 1850km / 20hours drive one-way from Sydney to Marree. You want to stay a day or two in the area to make the long journey worth, don't you? Guided tours would certainly a bit longer than 4 days as well, most of them start in Adelaide anyway. Sure, you can go on your own. If you have a somewhat robust car with reasonable ground-clearance you won't need to hire a 4WD. Of course, provided there was no rain in the weeks before you go. If you decide to hire a vehicle, you certainly need a 4WD that allows you to go on unsealed roads. Tell them where you want to go to avoid problems. 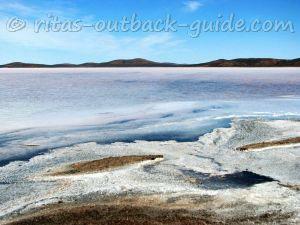 I am wanting to take my bf and I on a surprise trip to visit Lake Eyre in the first week of October (bday surprise). We're from Sydney and so I'm looking for the most engaging way to travel without it costing $3k per person. Ideally, I think a road trip for a few days would be awesome and definitely a flight over lake eyre. Can I check what you'd recommend? Shall we go on a tour or is it safe and just as easy for us to hire a car or 4WD and do it ourselves? We enjoy road trips, so that would be my preferred. I just don't know where to start. Ideally, I'd be keen for a 4 day or so trip. Any advise would be awesome! As of the latest info the best vantage point for Lake Eyre is Halligan Bay, water at Level Post Bay is some distance from the shore. I am pretty sure there is water in most creeks in the Flinders Ranges. The vegetation has recovered and it will be a difference to what it was two or three years ago. There are lovely camping spots in the Flinders and Gammon Ranges National Parks. Eastern End of Brachina Gorge, Aroona ruins and Italowie Gap to name a few. They are not completely free, the cost is $7 or $12 per car on a self-registration base. Thank you for your reply regarding the best vantage point to access the water at Lake Eyre. Do you know of any good camping spots around Arkaroola / Flinders Ranges that are free to camp. We are fully self-sufficient and prefer camping out of the normal camping grounds and caravan parks. Also, with the increased rainfall this year, is there much water in the Flinders Ranges (creeks)? Last time we were there, a few years back, it was so dry, there was barely water anywhere. Sorry for the late reply, I nearly missed your message. When you check the links on the Lake Eyre page you see that water can be seen from Level Post Bay and Halligan Bay right now. Cooper Creek has reached the Birdsville Track about two weeks ago, so there is perhaps a little more water for Lake Eyre on the way. When you arrive in Marree you can ask the locals and fellow travellers about the best way to go. Hi there, we have a high lifted 4X4 cruiser and were thinking of going in search of water at the lake in possibly September. Can you tell me the best place to "hit the lake" to possibly find water? Level Post Bay track???? We are experienced 4X4ers and are looking forward to this trip. Both public access routes (PAR) to Lake Eyre are not recommended for trailers and caravans. So you better leave the trailer at Marree or William Creek and do a day trip to the shores of the lake. The last part of the Oodnadatta Track (Oodnadatta to Marla) doesn't have any of the historic sites you'll see earlier on the track. The original railway & telegraph line leaves the track shortly after Oodnadatta and goes parallel to the Stuart Highway north to Alice Springs. So leaving the track in Oodnadatta to go via the painted desert road is a perfect option. Unless there has been rain again, you can take the trailer on this route. Just ask in Oodnadatta, and drive carefully. Still planning our outback holiday - (we leave in two weeks) Have finally decided on leaving Melbourne and staying overnight at Mildura, then hopefully will get to Wilpena Pound for 2 nights then on to Lake Eyre. Hope to stay at Muloorina Station and also Halligan Bay but not sure if we will be able to tow our trailer as it is not off road. 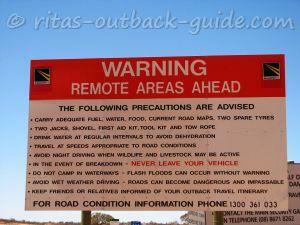 (We have a 4WD) Are we better off staying at Coward Springs or William Springs and just going for the day to Lake Eyre? ?Another question would we be able to take the trailer through the Painted Desert as it sounds a fabulous way to cut across to the Stuart Highway - is there much to see if we kept going all the way through to the end of the Oodnadatta Track? It is certainly okay to go from Lyndhurst to Marree and William Creek (seeing the road conditions of today), but you won't make it to the shore of Lake Eyre North. The two public access routes are not maintained tracks like the Oodnadatta Track itself. Everyone recommends that you need a 4WD to use them. One of the routes (from Marree) is closed at the moment anyway. The OT is open to all vehicles from Marree to William Creek right now, but the sections to Oodnadatta or Coober Pedy are restricted to 4WD. It is difficult to say when this will change, it can be tomorrow, in a week, or in a month. Good luck, and drive carefully. 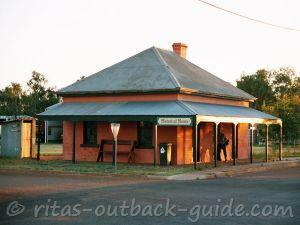 PS: There is limited hotel and cabin accommodation in Marree, William Creek and Oodnadatta. During the school holidays it is a good idea to check availability in advance. Am I gong to make it from Sydney to Lake Eyre without getting stuck in my old commodore? Car is fine, just worried about the roads. Also what's the deal is there caravan parks to stay at, or should I take my own camping stuff?? Planning on leaving this Sunday. It depends on when you're going to William Creek, and what the weather is like then. 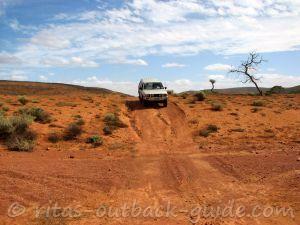 Usually, a dry Oodnadatta Track can be done with a 2WD when you drive carefully. However, there has been a lot of rain, so the conditions on the track are probably not optimal. As of today the section from Marree to William Creek is only recommended for 4WD due to rain damage, and it looks like they expect more rain tomorrow. Check out the SA road conditions report, you'll find a link in the comment from 14th June in this thread. We were thinking of driving to William Creek to do the scenic flight. We will be coming from Sydney but we only have a 2WD car. Is this possible? I am aftraid, I don't have any suggestions for you. Access to Lake Eyre from Queensland is non-predictable right now. How long will the Cooper be running over the Birdsville Track? Nobody knows. Once the water stops, it will take some time until the Cooper section on the track dries out. The ferry is running, but it can't take vehicles/trailers longer than 7.8 m, and they don't allow to ferry trailers separately. Access via Innamincka and the Strzelecki Track is also hard to predict. Parts of the roads around Innamincka are still closed. Oh well, it looks like my planned trip to this area is also going to drown in the Cooper flood. 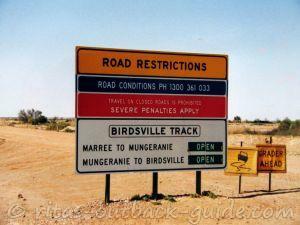 HI, We are wanting to do a road trip to Lake eyre, via Birdsville track. I have read that the ferry only takes vehicles and trailers over that measure less than 7.8 metres in total. We are towing Camping trailers, yet all three of our vehicles and trailers measure more than 7.8 metres. Any suggestions on how we can overcome this hurdle? The track seems to a bit rough right now. The first section from Marree to Bopeechee is fairly good, but the rest of the track has still warnings. 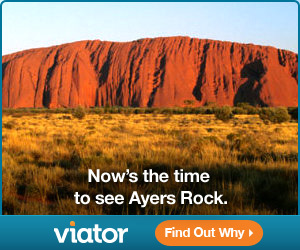 Check out the Outback Road reports to see for yourself. I am not sure how much the track will improve until August. Creek crossings could be a problem. Where are you going from William Creek, back to Marree? Read the discussions on this Oodnadatta Track road conditions page. People take caravans out there. How well you can handle your van on difficult conditions, it is your decision. We will be travelling to Lake Eyre early August. Is it possible to tow a conventional 16 ft pop top caravan with 4WD vehicle between Marree and William Creek with care? Thanks for the tip, here's the link to a government page for everyone who wants to know the latest news on Lake Eyre. Feel free to tell us all the news from the Warburton creek. You will have better updates on the Lake Eyre National Park 2010 updates web page then Lake Eyre Yacht Club I have watched this site over a number of years and it is not very accurate. There has been water from 3 different sources going into Lake Eyre since 17.02.10. It's run by a guy in Victoria. I live on the Warburton Creek so I would know what's happening. the lake is dry at the moment (February 2010). The Lake Eyre page has a link to a map of the water levels. The Lake Eyre Yacht Club updates the page whenever there are changes. What is the lake like at the moment Feb 2010? Is it worth a visit? thank you so much for your update on track conditions. I can imagine that the track is very busy at the moment. It is hard to imagine for someone never been on the rough tracks, that you need up to 2.5 hours for just 64 km. But you should take it easy! If your planning to take the track to the lake from William Creek, it is worthwhile as you can see and walk out to the water edge (depending on which way the wind is blowing as the water moves with the wind). However as there is a lot of traffic on this road so depending on when it was last graded it will be heavily corrugated, allow 2 to 2.5 hours each way. Return to Your Oodnadatta Track Stories .